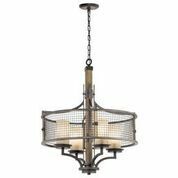 The Elstead Aegean Aged Brass Double Wall Light features hand-forged scrolls and cut glass droplets and sconces. The Elstead Aegean Single Wall Light in Aged Brass features hand-forged scrolls and a cut glass sconce and droplets. The Elstead Aegean Table Lamp is in an Aged Brass finish with a cut glass sconce and fabric shade. The Elstead Aegean Polished Brass Double Wall Light features hand-forged scrolls and cut glass droplets and sconces. The Elstead Aegean Single Wall Light in Polished Brass features hand-forged scrolls and a cut glass sconce and droplets. The Elstead Aegean Table Lamp is in a Polished Brass finish with a cut glass sconce and fabric shade. The Elsteadl Aegean Polished Nickel Double Wall Light features hand-forged scrolls and cut glass droplets and sconces. The Elstead Aegean Single Wall Light in Polished Nickel features hand-forged scrolls and a cut glass sconce and droplets. The Elstead Aegean Table Lamp is in a Polished Nickel finish with a cut glass sconce and fabric shade. The Elstead Agatha Bathroom Wall Light is in a Chrome finish with a cut glass shade and a secondary light source illuminating the clear acrylic rod. The Elstead Agatha Bathroom Wall Light is in a Nickel finish with a cut glass shade and a secondary light source illuminating the clear acrylic rod. The Elstead Ahrendale Wall Light has an open Anvil Iron mesh surrounding a Vetro Mica shade. The Elstead Ainsley 3 Light Bathroom Wall Light is in a Chrome finish with opal glass shades with trim rings.. The Elstead Ainsley Double Bathroom Wall Light is in a Chrome finish with an opal glass shade with trim rings.. The Elstead Ainsley Single Bathroom Wall Light is in a Chrome finish with an opal glass shade with trim rings.. The Elstead Alahambre Tiffany Table Lamp is part of the Quoizel Tiffany Collectibles family. Alcott Tiffany Table Lamp - Quoizel Lighting. The Elstead Alcott Tiffany Table Lamp has a Soft Green striped accent and a Valiant Bronze base. 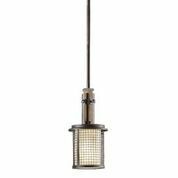 The Elstead Amalia Large Bathroom Wall Light creates a traditional column candle look, with a smooth, cylindrical glass shade sat on a Chrome finish shelf. The Elstead Amalia Small Bathroom Wall Light creates a traditional column candle look, with a smooth, cylindrical glass shade sat on a Chrome finish shelf. The Elstead Amarilli Table Lamp is in a unique black silver finish, with glass drops and traditionally forged scrolls and leaves. The Amarilli Table Lamp is hand made in the UK, at the workshop of Elstead Lighting and is supplied with a fabric shade. The Elstead Amarilli Table Lamp is in a unique bronze gold finish, with glass drops and traditionally forged scrolls and leaves. The Amarilli Table Lamp is hand made in the UK, at the workshop of Elstead Lighting and is supplied with a fabric shade. The Elstead Antonia Crystal Glass Table Lamp is supplied with a Silver sheen fabric shade with a metallic silver lining.. The Elstead Arden Tiffany Table Lamp is part of the Quoizel Tiffany Collectibles family. 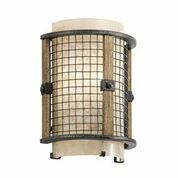 The Elstead Argyle Medium Wall Lantern is in a Weathered Zinc finish with clear seeded glass. The Elstead Argyle Small Wall Lantern is in a Weathered Zinc finish with clear seeded glass. 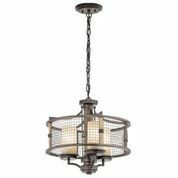 The Arlington Antique Nickel Standard Lamp is part of the prestigious Stiffel Collection from Elstead Lighting. Elstead Lighting manufacture quality interior lights & exterior lighting to suit your lighting needs. The full Elstead Lighting range of lights is available to buy online at low prices from Luxury Lighting, an approved stockist. Elstead Lighting are based in the heart of the Hampshire countryside in Alton where quality hand made lighting products have been made since the early 1960s. 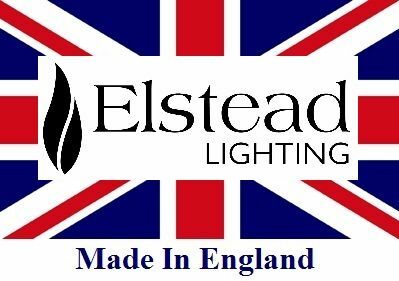 If you require any assistance or further information on any lights by Elstead Lighting please do not hesitate to contact a member of our sales team. Please click on the category to view the full range or click on the products below for full details and ordering.